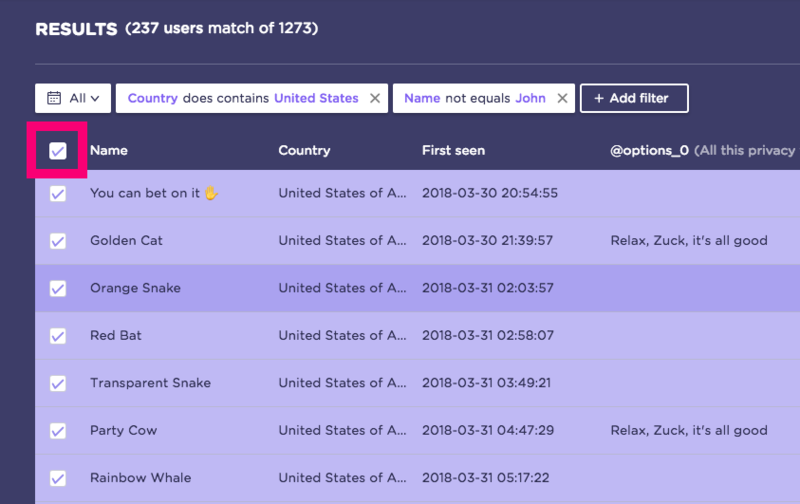 In the Analyze > Users section you'll find the details of every single user that talked to your Landbot. 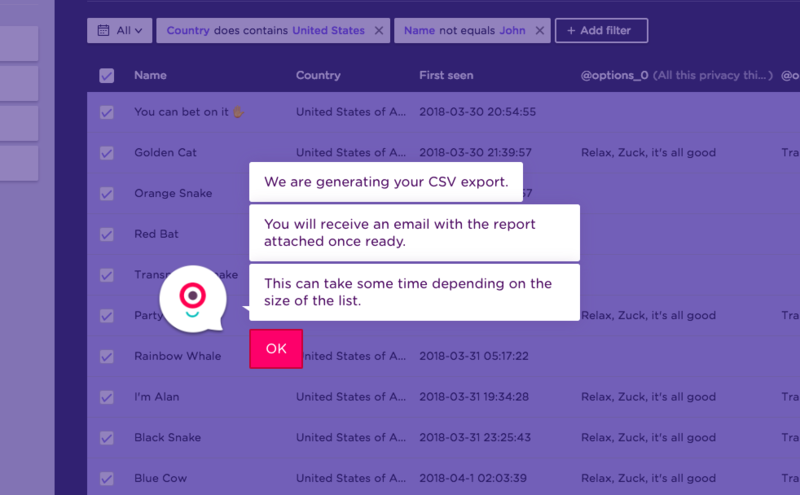 Apply filters, export the information and much much more! 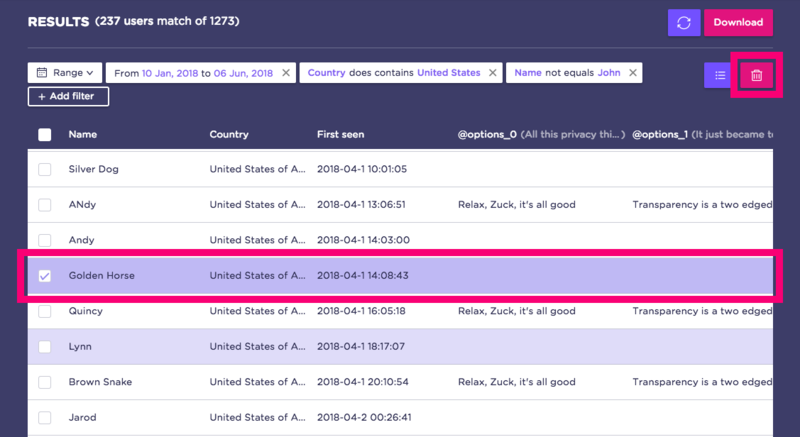 Now we'll guide you through the main things you can do here: view, download and delete results. Filter by date. 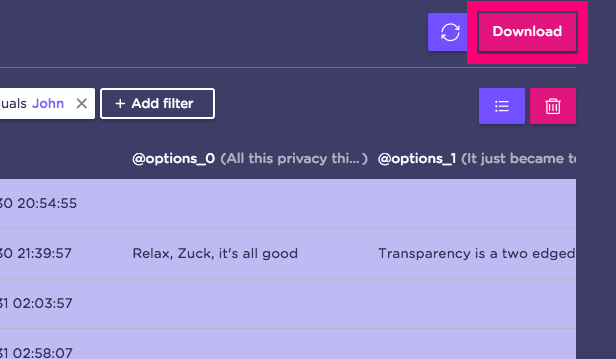 Click on the "All" button - top left of the table - to open the date filtering options. Filter by column. If you click on the top-right icon, you'll be able to select which fields you want to visualize live in the table. Focus on the important ones! Download results. By clicking on Download, you can download the results in CSV format. 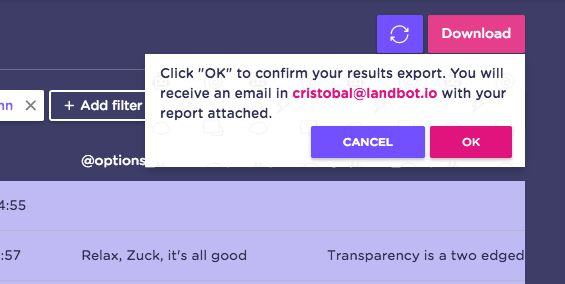 Once you click OK, landbot will let you know that the results sending can take a bit long depending on the size of the list! And then click on the bin icon to have it removed. You can also select all your contacts at once and delete all of them!